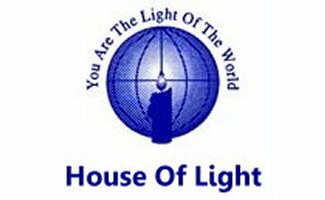 House of Light is an Arab Christian ministry which provides spiritual and social aid. It is a non-profit organization founded by Anis and Nawal Barhoum. Located in Shefa-Amer, Israel, this organization presents the Gospel of Jesus Christ to ALL who ask for help. When did House of Light begin? House of Light's ministry started in 1984. The Barhoum family decided to dedicate their new house to the Lord. Shortly after their home was finished, God sent many people to them asking for help. Child Evangelism Fellowship (CEF) began to hold biweekly “Good News Club” meetings for local children at House of Light. The ministry quickly grew into a center of hope, sharing, and counseling for parents and children. How does House of Light currently serve local needs? House of Light is involved in numerous ministries to various groups of people. Every week they hold Bible studies, worship gatherings, and King's Kids meetings. Besides these regular events, House of Light also makes many home visits, hosts counseling sessions, and cares for individuals in need. The House of Light has both initiated and participated in meetings that aim to unite Arab Christians and Messianic Jews. This organization is involved in a monthly prayer meeting held by Arab and Jewish ministers, designed to strengthen the body of Christ. The Lord has also opened the doors for House of Light to have a ministry to prisoners. Anis and Nawal are allowed to visit prisoners with a Christian background. Now there are 21 prisons they are connected to, where they focus on leading prisoners to real repentance by understanding and accepting Jesus. Not only does House of Light build relationships with these inmates, but they also become connected to nurture and serve the families of the prisoners they meet. House of Light also meets with many current and former drug addicts who are seeking help for rehabilitation. On a monthly basis House of Light distributes food and sometimes clothing to needy families. The King’s Kids is a year round program which teaches both children and youth to know the love of Christ. They are challenged to show Christ's love to others through volunteering and performing arts. This ministry brings Arab Christian and Messianic Jewish youth together as one in Christ. King’s Kids also holds special bimonthly weekends and summer camps each year. Where is the Lord leading House of Light for the future? The Lord has placed on our hearts the desire to have a half way house for former inmates who accepted the Lord while they were in prison, and are willing to learn how to live a new life in Jesus. Our family owns a farming land and we are praying to the Lord to help us develop an agricultural field to grow our own foods for those in need. It is our dream that someday a Christian Center will be built on this property. We trust the Lord for His timing, permissions, servants & finances. Please keep House of Light's future in your prayers; that the Holy Spirit will continue to guide this ministry as HE wills.